Something about ripe summer fruit brings out the old-fashioned baker in me. I reach for recipes for all manner of cobblers, crisps, crumbles, grunts, betties, muffins, and pies. And I’m not the only one. On Father’s Day, my daughter offered (or did my husband request?) 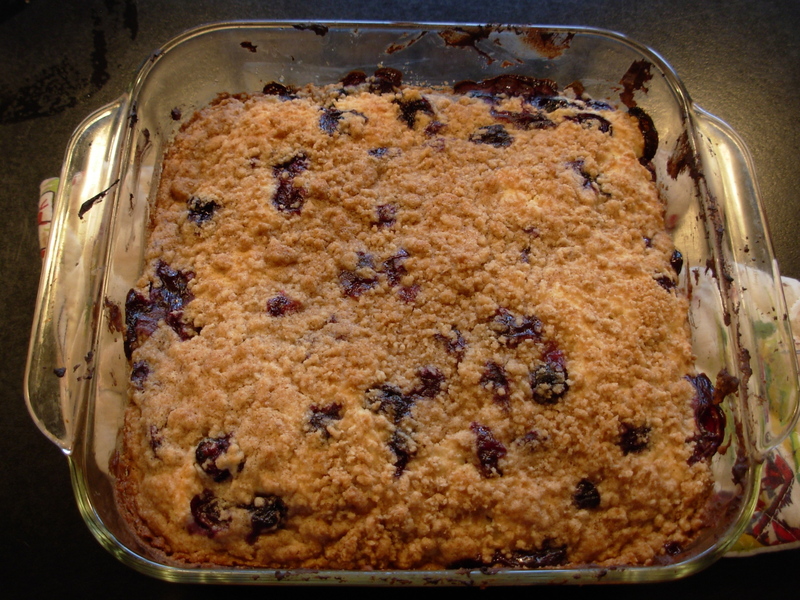 a homemade blueberry buckle. This one comes from the superb Jim Fobel’s Old-Fashioned Baking Book. A similar recipe is in Marcia Adams’ equally inspiring Cooking From Quilt Country. 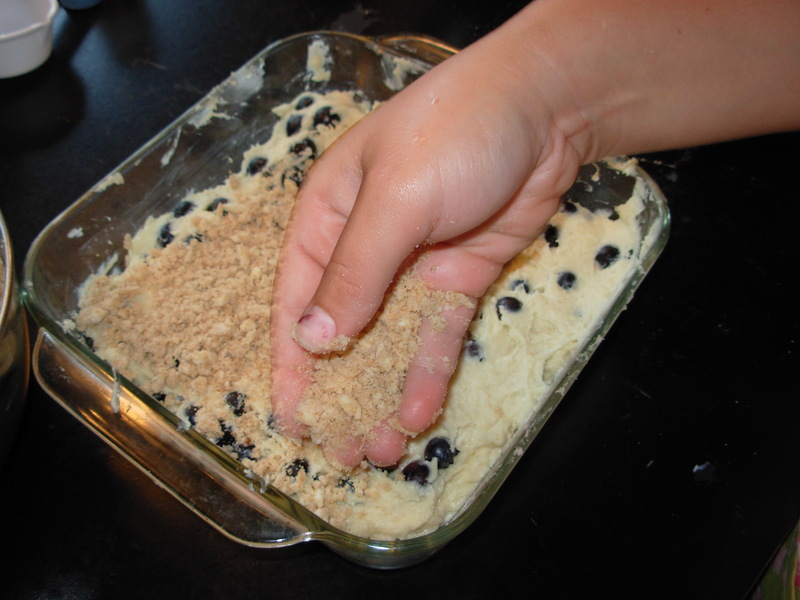 She calls it Blueberry Cake with Streusel Topping. 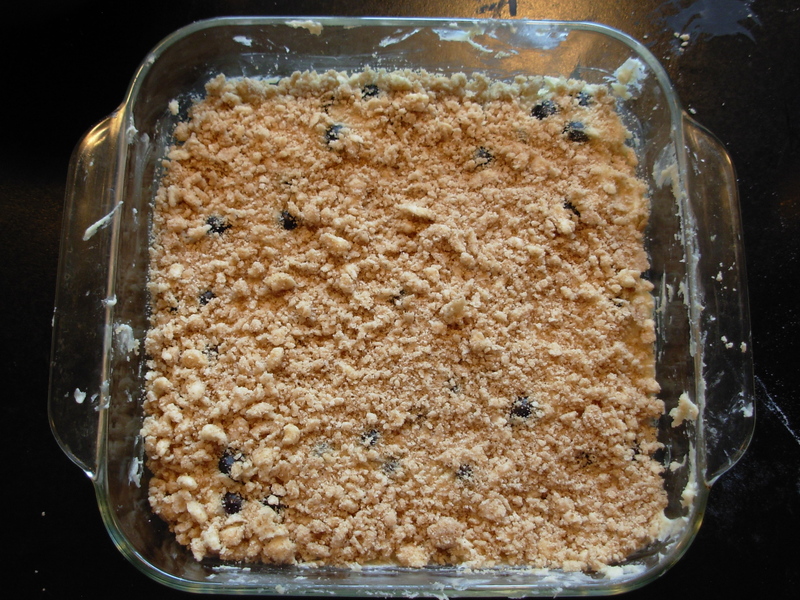 That turns out to be a fine description for the Buckle: a moist coffee cake with a crunchy crumb topping. Position rack in center of oven. Preheat oven to 375 degrees. Butter an 8-inch pan. Prepare the topping: In a small bowl, combine flour, brown sugar and cinnamon. 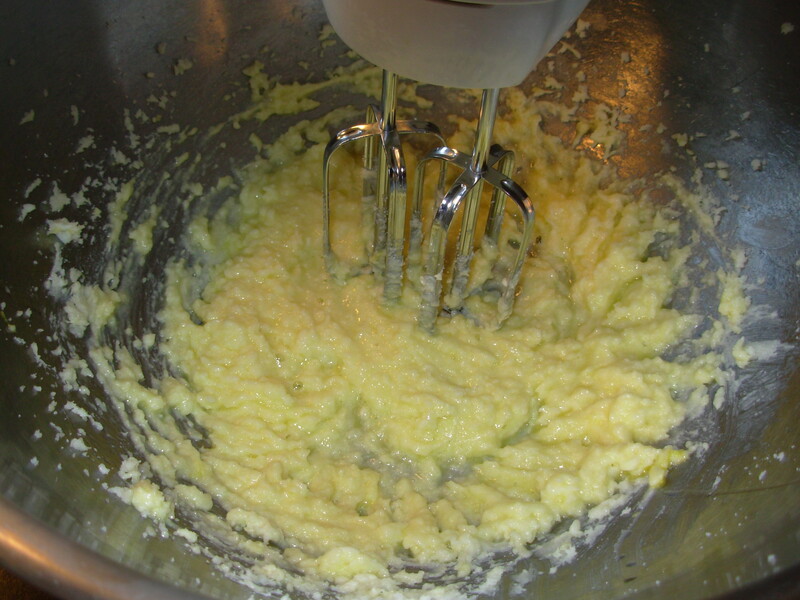 With a pastry blender, cut in the butter to resemble coarse crumbs. 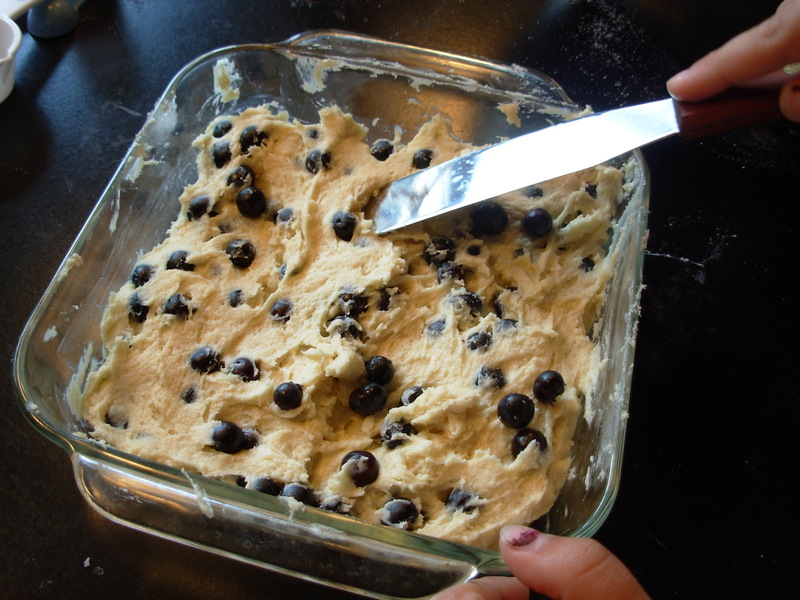 Prepare the batter: In a large bowl, beat the butter until creamy. Gradually beat in the sugar until light and fluffy. Add the egg and vanilla and beat until smooth, then beat in the sour cream. 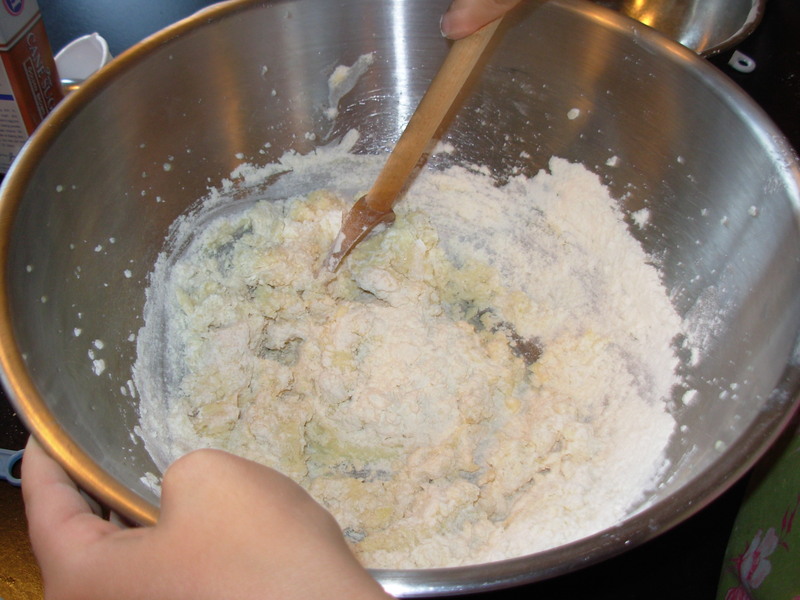 In a medium sized bowl, stir together the flour, baking powder and salt to evenly blend. 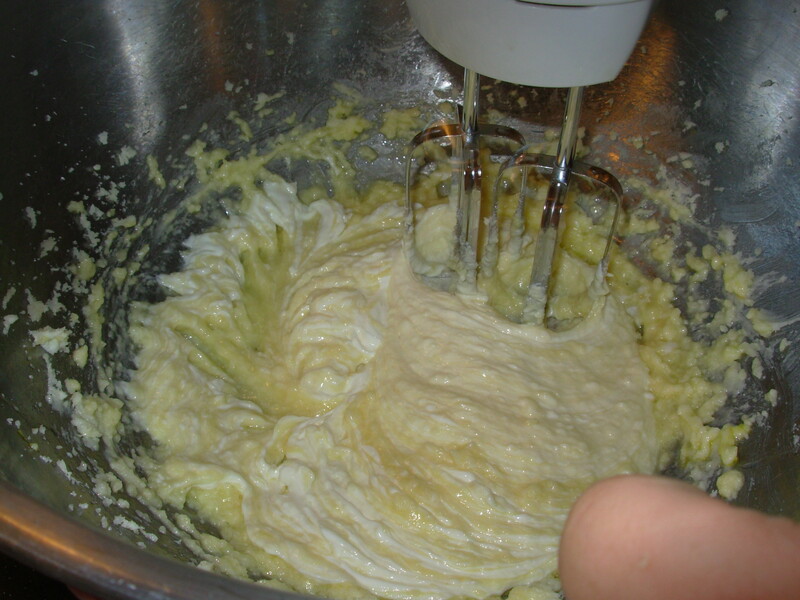 Quickly stir the dry ingredients into the butter mixture just to moisten: the batter will be thick and lumpy. 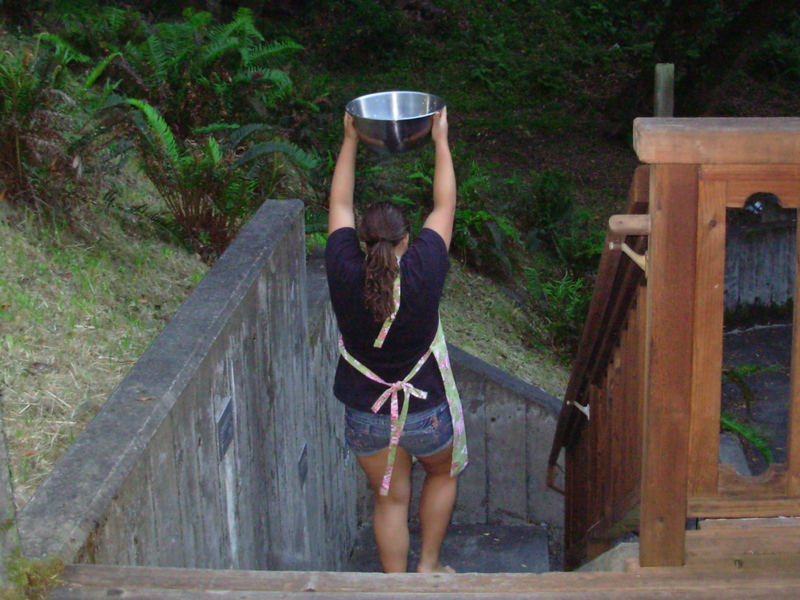 If you are inspired to do a batter dance around the house or yard, this would be the time. 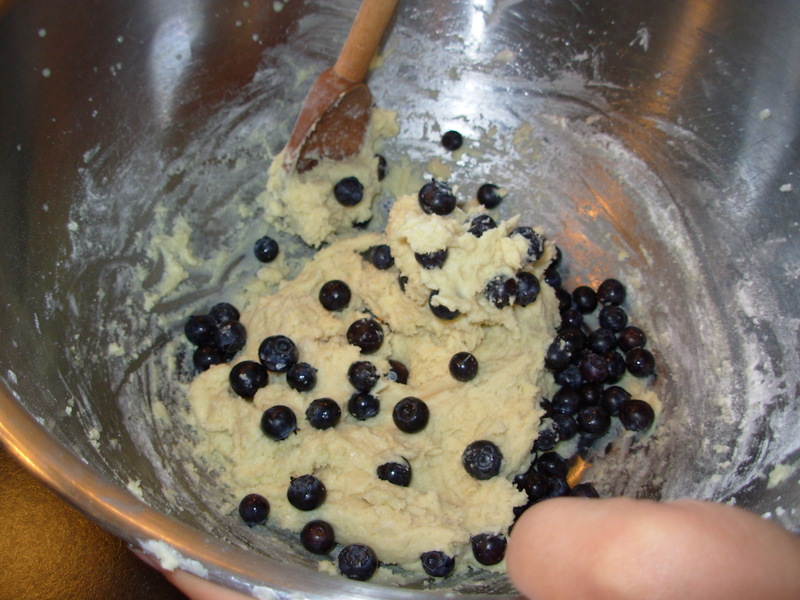 Gently fold in the blueberries and turn into the prepared pan. 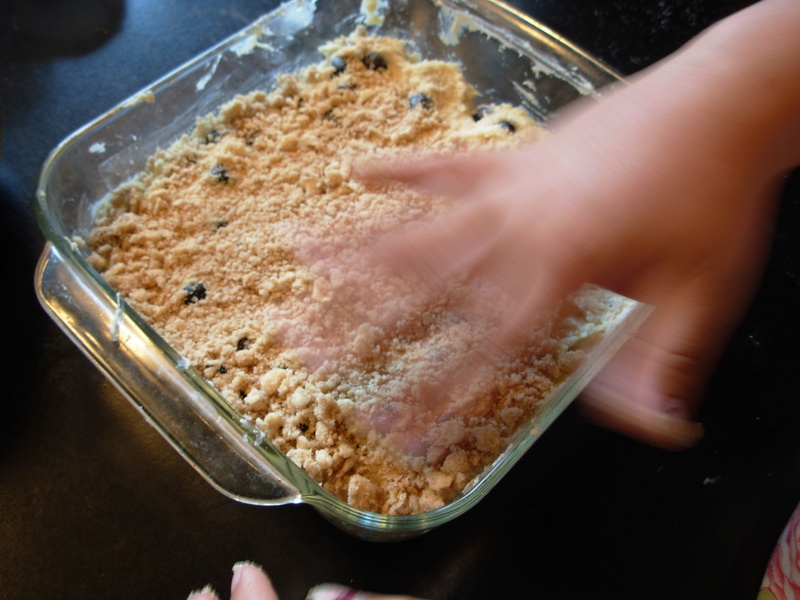 Crumble the reserved topping over the batter. Yum! 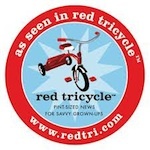 Thank you Jim Fobel, and the roadside stand in Maine, where we first had a buckle and decided we liked them. 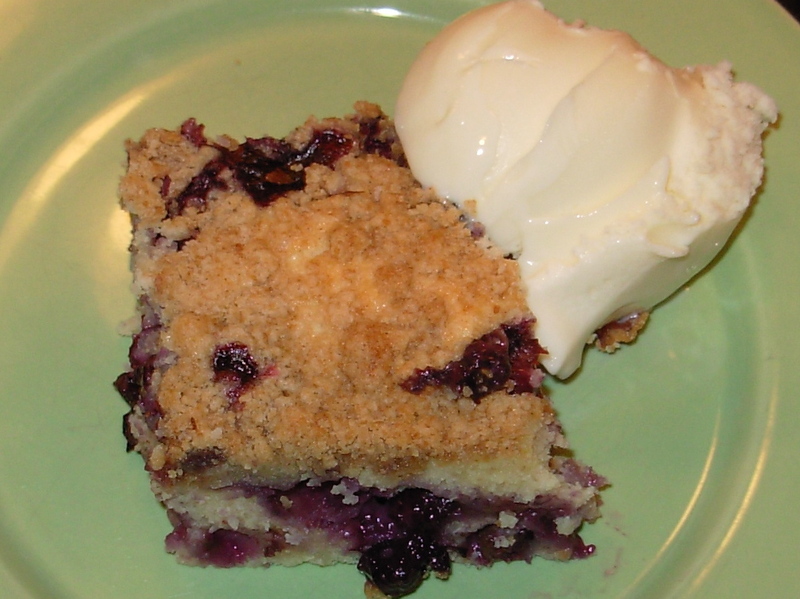 This entry was posted in Butter and Egg, Home Ec., Nostalgia, Recipes, Seasons, Vintage and tagged Baking, Blueberries, Blueberry Buckle, Buckle, Dessert, Food, Fruit, Fruit Desserts, Maine, Old Fashioned Desserts, Summer. Bookmark the permalink. looks yummy. i Love blueberries: can’t get enough in the summer. & apparently they are high in anti-oxidants, if your into that sort of thing. last year i put in 2 blueberry bushes in my back yard, to complement the raspberry patch. nothing is better than sun-warmed raspberries right off the bush. ok, so what is a grunt and a buckle? and what is a batter dance? and when did u learn about these things: certainly not in NY or LA. I LOVE this blog. Great pictures of the chef! I’m inspired to try this buckle! Thank you so much for visiting and for your enthusiasm. That was a super-fun chef day. Anna was especially into the project, having fun with it and breaking into her spontaneous buckle batter dance! 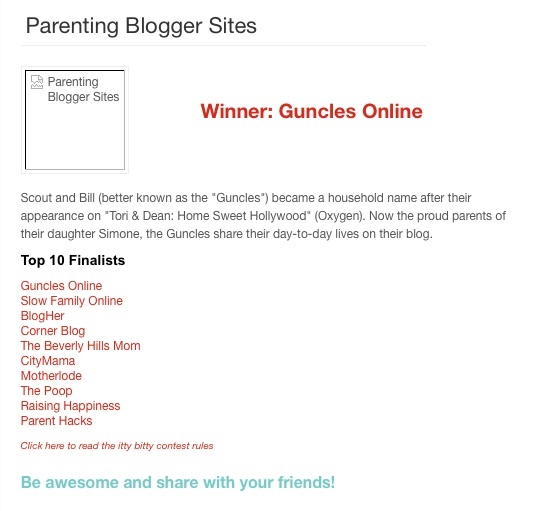 I’m so glad you may be entering the world of the buckle! I know you’re a great canner, not to mention knitter, spinner, beader, and practitioner of many slow (even bygone) activities. Let me know if you make the buckle. 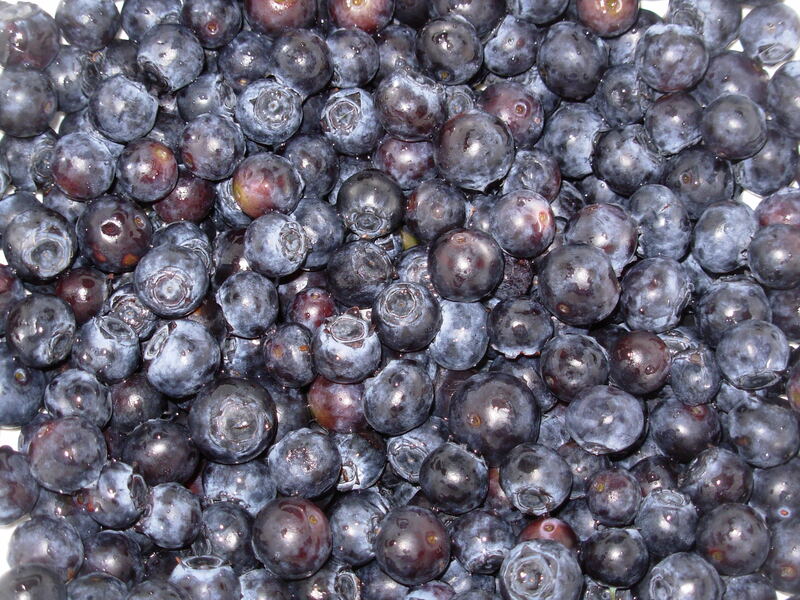 I love that blueberries are healthy in addition to being pop-in-the-mouth yummy! I was not a big blueberry eater until I met my husband, who grew up on great farm berries from Lancaster County, Pennsylvania. (Same with corn!) Now I eat both whenever possible. I still especially love raspberries. Lucky you to grow your own! I have always been drawn to old-fashioned desserts. I vastly prefer baking to cooking — my mom was a cookie and cupcake baker, and there is still a certain electric-mixer smell that can take me right back to her kitchen. The more vintage desserts came later, mostly because they’re among my favorite to eat. I like to collect vintage cookbooks and recipes. 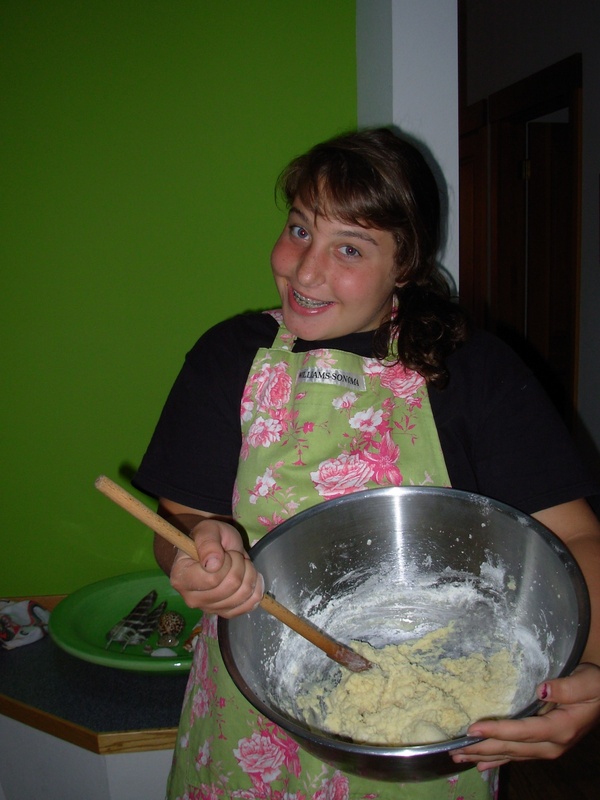 Anna started helping me make jam and fruit desserts when she was 3 and has always been wonderful in the kitchen. So, let’s see, a buckle is the dessert you see here: a coffee cake with an optional (for some!) mildly crunchy crumb top. This site has tons of definitions of old-fashioned desserts, including the grunt and some I didn’t even mention, the flummery and the slump! Let me know what you make with those raspberries. Mmmmm! Second only to the cobbler! Hi Charles/Chuck! 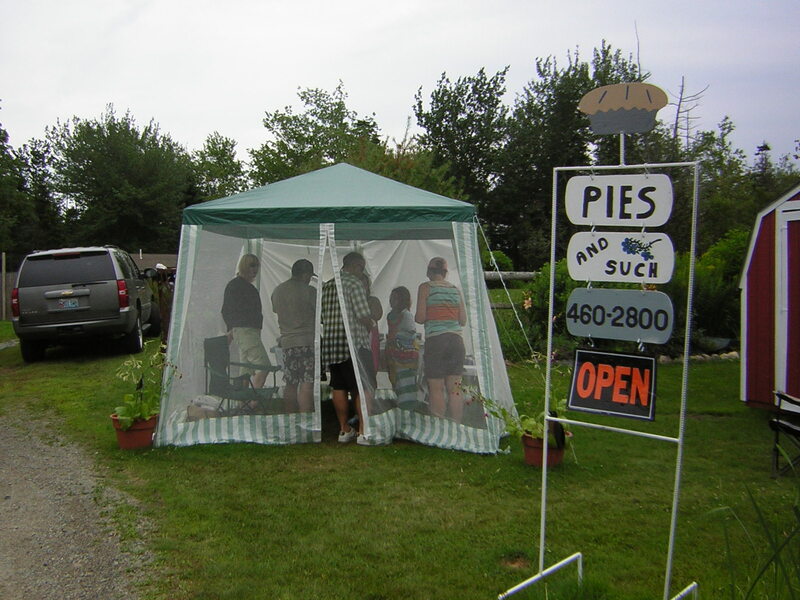 Thank you for visiting and for putting in a vote for the wonderful cobbler! Your website is terrific and mouth-watering, as well.